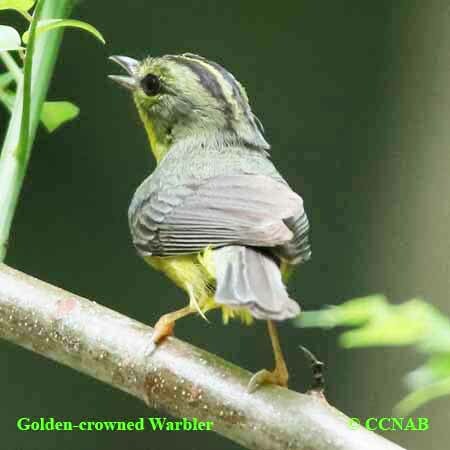 Species: The Golden-crowned Warbler (Basileuterus culicivorus) is not a native bird to North America. 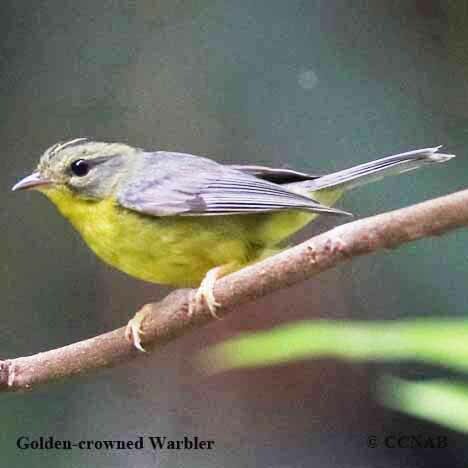 It is a native bird to Mexico, Central America and South America, and probably the most common warbler to be seen. It makes it habitat on the mountain slopes, seen both on the Pacific coast as well as along the Gulf coast in Mexico. Found in coniferous and deciduous forest, preferring a tropical surroundings with warm to moderate temperatures. 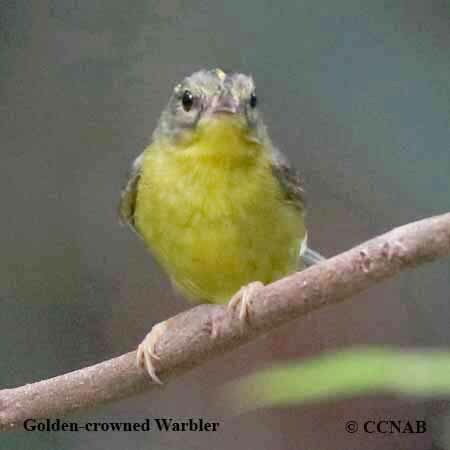 Distinctions: The male has a bright yellow throat, breast and undertail coverts. Grayish-brown auricular, yellow supercilious, two dark lateral crown stripes, with a yellow stripe through the center of the crown. The back, wings and tail is greenish-brown, no wing bars. 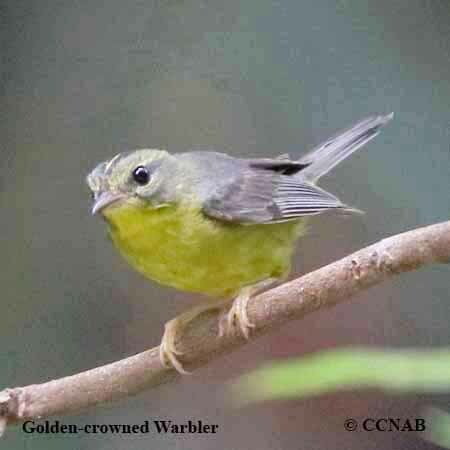 The female is similar to the male, as is the juveniles, but duller in appearance. Voice: Single call note, song sound like "zee zee zee seee, repeated over. Nesting: Three to five creamy white coloured eggs, with brown markings. The nest is built on, or near the forest floor. Composed of rootlets, leaves, moss and lined with fine grasses. Distribution: Found along the mountain slopes in Mexico, but not on the top of the plateau, through all of Central America, including the greater parts of South America. 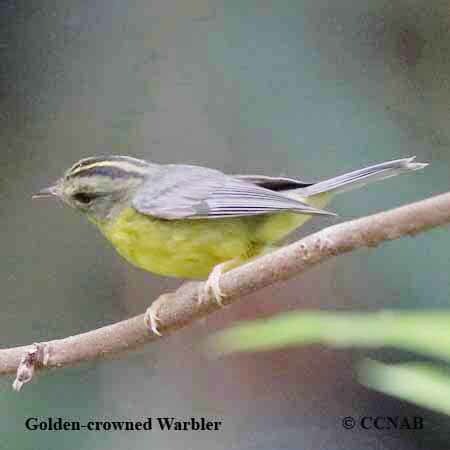 It is a very common warbler, and not threatened. Has been seen Texas, and is recognized as a vagrant visitor.